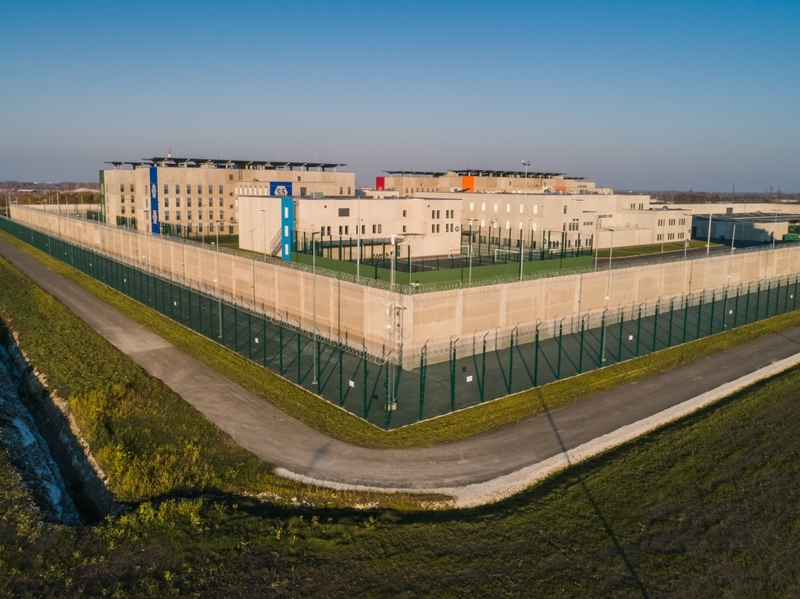 In cooperation with architect Indrek Saarepera and the contracting entity Riigi Kinnisvara AS, OÜ TMB Element submitted the living quarters of Tallinn Prison to the competition Concrete Building of the Year 2018. The living quarters are buildings designed for housing inmates. In total, there are three buildings, two of which are for men and one for women. The men’s buildings are identical in their structure and differ only in terms of colour schemes. Both buildings have 252 cells, each housing two inmates, and eight cells for solitary confinement. The women’s building has 91 cells for two inmates and ten cells for solitary confinement. In addition, there are study and work areas for women in the building. The buildings have a utilitarian design with unified solutions. Great emphasis is placed on the smooth internal logistics and security of the building. window bars are designed and arranged according to the direction of sunlight to avoid overheating in the living quarters. The building is predominantly assembled of prefabricated concrete panels due to the security requirements and the desire to build a long-lasting, durable building. 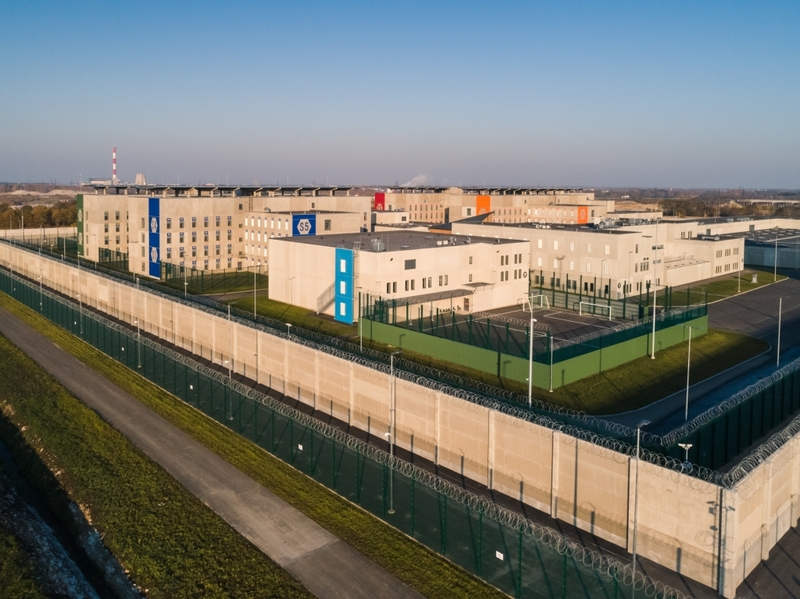 • the prison complex is surrounded by a kilometre-long fence made of prestressed concrete panels.